Games publisher and developer Square Enix has released a new benchmark application for Windows (64-bit) users. The Final Fantasy XV Windows Edition Official Benchmark application is now available to download. Square Enix’s application offers native 4K and HDR10 support and weighs in at approx 3.37GB. The game upon which this benchmark is based uses GameWorks technology on the PC and readers might not be surprised to learn it performs noticeably perkier on Nvidia GPU equipped systems. 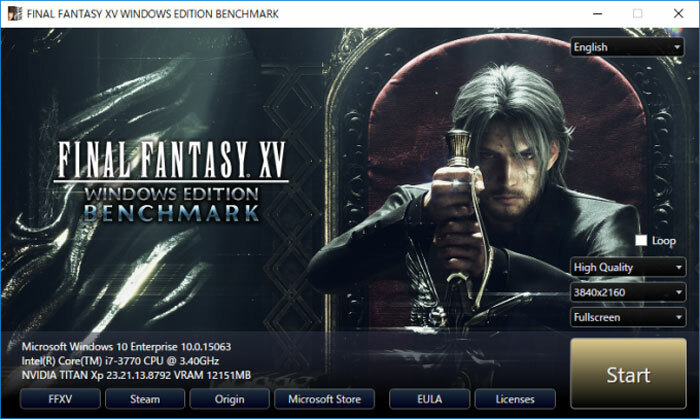 Final Fantasy XV Windows Edition is due to be released on 6th March 2018, so this new benchmark gives users plenty of time to test and possibly tweak their systems for great gaming performance with the actual game. Cutting edge graphical technologies such as native 4K and 8K resolutions with HDR10 and Dolby Atmos are supported by the game. Even before you fire up the benchmark, Square Enix has given indication about how your system might perform, thanks to its minimum, recommended and 4K HDR PC specs table. You can pre-order FFXV Windows Edition on Steam, Origin, and the Microsoft Store from today. There are different pre-order and early purchase bonuses available depending upon your choice. 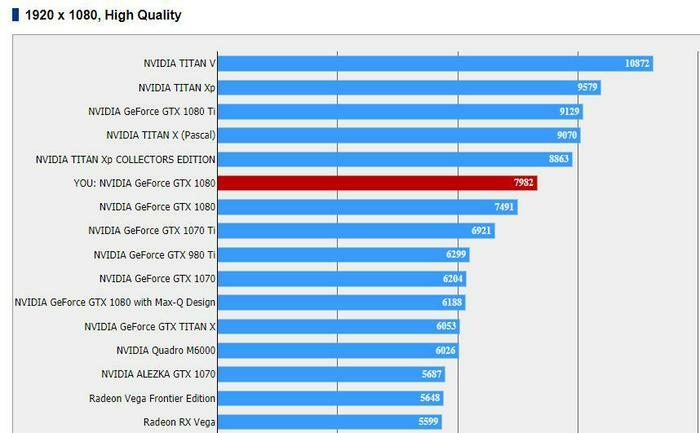 The HEXUS Editor has just forwarded me a set of Full HD High Quality preset benchmark results taken from the Final Fantasy XV Benchmark. In the HEXUS labs we have run the benchmark on a system combining the twin strengths of the Intel Core i7-6700K and an Nvidia GeForce GTX 1080. You can see the result below, a score of 7982, highlighted in red. That is some serious storage requirements for one game! Understandable given the content, especially if all of the pre rendered videos now come with 4k versions to boot. But still, over 155GB for the 4k install, jeeeez. So how does that score chart translate into actually FPS performance? Used quick math to figure out that if I wanted the 4K version of the game, assuming it was not compressed and I needed to download 155GB, it'd take me 12.25 days straight doing nothing else. Considering the hardware requirements, if they want this to be popular, it needs to have some rather revolutionary gameplay. lol over 155gb for 4K. 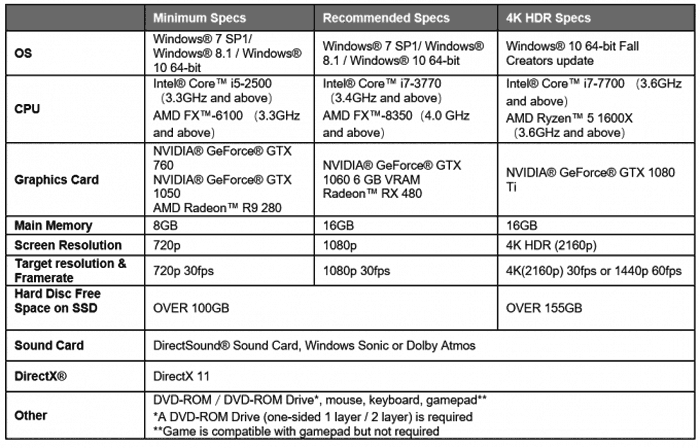 It makes sense and is in line with a large game having native 4K everything. But still, that's a huge chunk of of the ol' drive. Jesus mate, who runs your internet, carrier pigeon ?